Home > Weddings/Festivals > SHAVA PLUS TV Box- New VersionArabic, Somalian, Afghanistan, Bengali, Indian and Pakistani TV Channels FREE on to your TV . 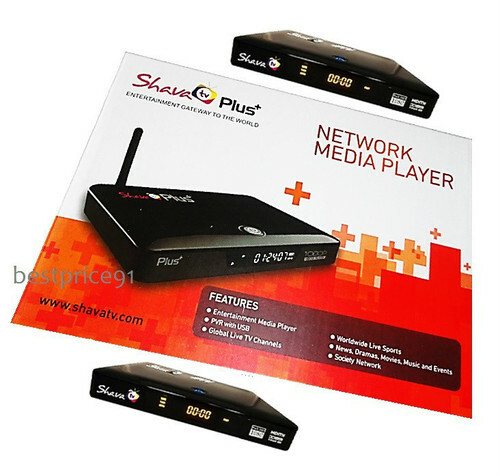 SHAVA PLUS TV Box- New VersionArabic, Somalian, Afghanistan, Bengali, Indian and Pakistani TV Channels FREE on to your TV . Shipping (USA): $6 per Order + $1 per Item. International customers apply: $3 per order + $10 per pound + $5 per item), please choose "Intl-Heavy" as shipping method. Watch Arabic, Somalian , Afghanistan, Bengali, Indian and Pakistani tv Channels FREE on to your TV through shava tv HD-MX IPTV.